The whale shark (Rhincodon typus) is the biggest fish in the world, in fact it can reach a length of over 12 metres. 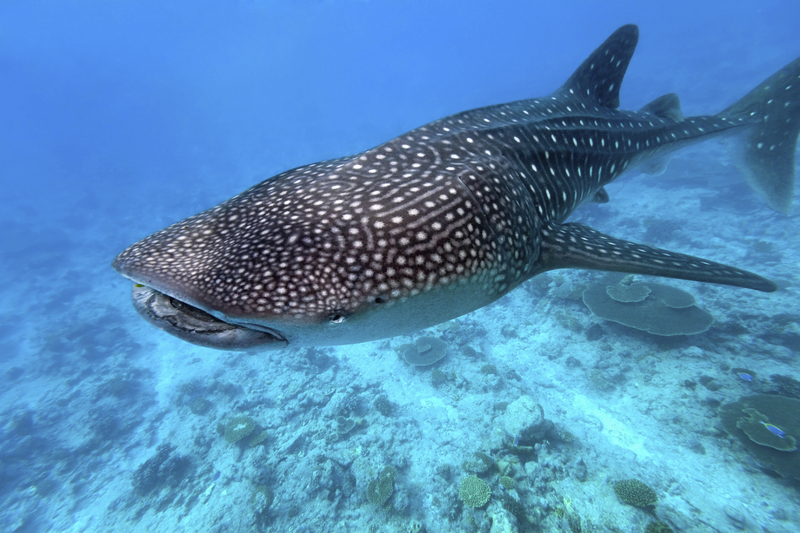 The whale shark, notwithstanding its size, is a harmless animal. It is a filter feeding fish that feeds on plankton, plankton crustaceans and small fish. It swims with its mouth wide open and like a large vacuum cleaner, and aspires water which it sends to its gills, that act as filters, and hold back the food in its mouth.